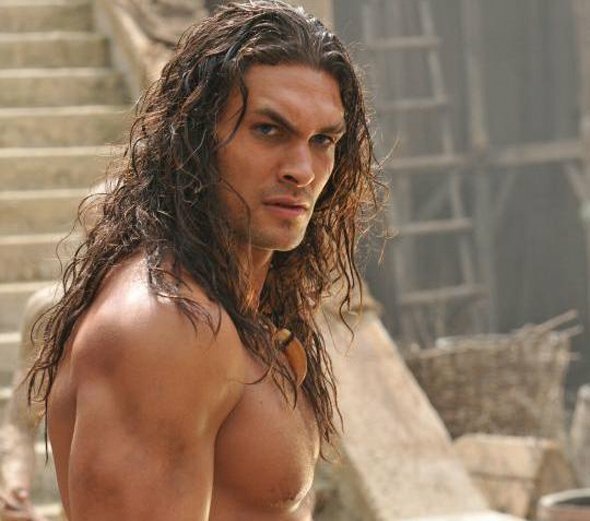 Back in May, the first shots of Jason Momoa as Conan the Barbarian popped up online. They were blurry, they were small, and not much to get excited about. Unlike those, the first official photo isn't only much bigger, but at it's a clear picture. Nu Boyana Film Studios, which recently wrapped production on Marcus Nispel's Conan, has posted the first clear image of everyone's favorite Cimmerian. While it's hard to argue against Arnold Schwarzenegger being the perfect man for the role, it looks as though Momoa, has always been a big guy, did his best to bulk up. Check out the photo below.